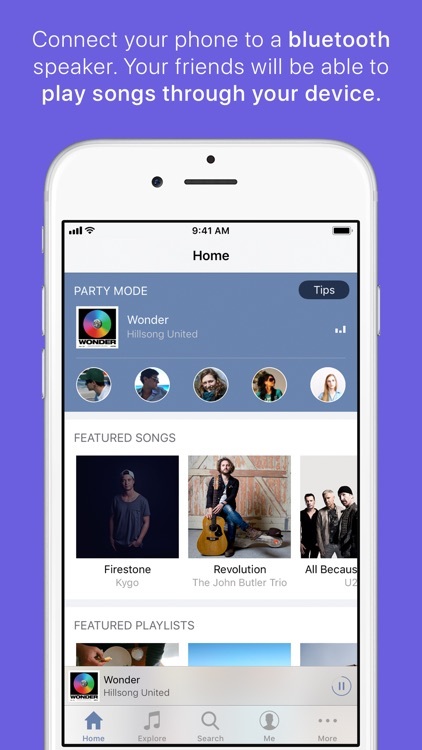 SoundShare is an app that connects many music services together into just one social network. 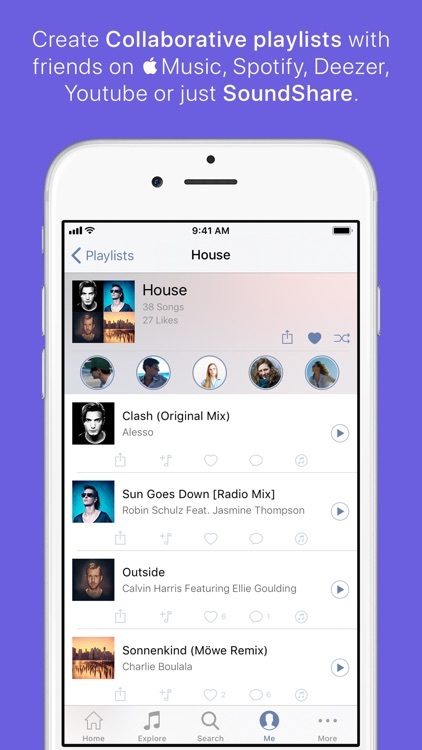 A place where you can see and play what your friends are listening to, start a party (so your friends can play songs through your device), create collaborative playlists with them (no matter which music service they use), like their songs, send them a message and a lot more. SoundShare was a "New and Noteworthy" app, designated by Apple. SoundShare was featured on the "Apps We Love" section, inside the App Store. - Start a Party and connect your iPhone to a bluetooth speaker or Apple TV. 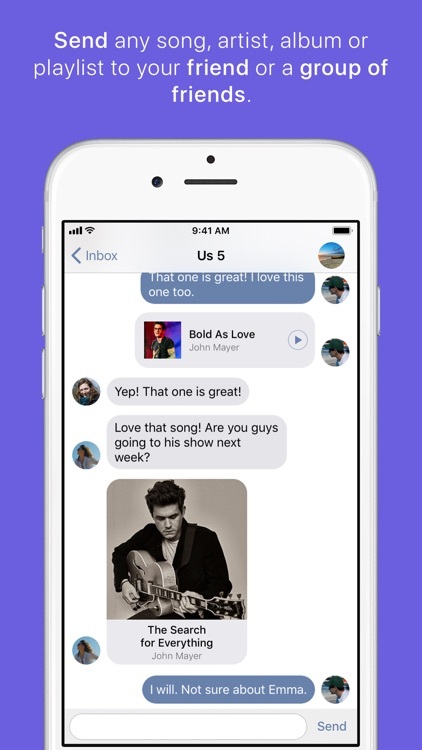 Invite your friends and they'll be able to add and play songs through your device. 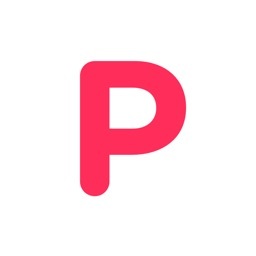 - Search and play any song you want. - Full Spotify, Apple Music and Deezer integration. 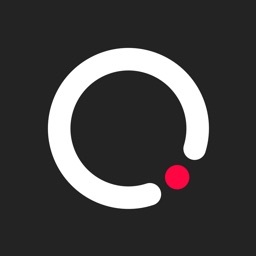 - See and play everything your friends are listening to. - Send any song, artist, album and playlist to your friend or a group of friends and start a conversation. 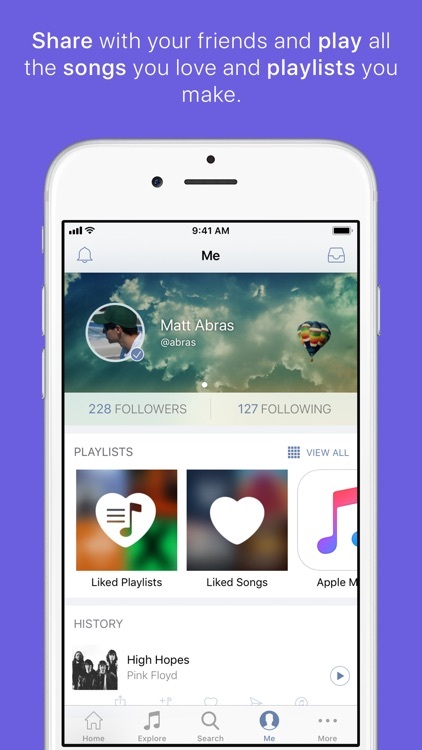 - Create custom collaborative playlists with your favorite songs and add your friends to help you build the best one. You can make them public or private. 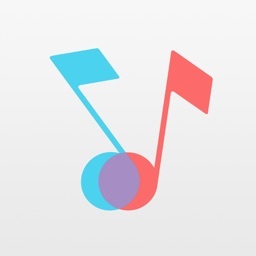 - Find new users with similar musical taste. - Listen to and watch the full music video on your device and TV via AirPlay. - Post on Facebook, Twitter, Instagram and WhatsApp your favorite songs. - Built-in Player so you can do everything else while you listen to and share your favorite songs. - Pretty much your entire "For You" page inside SoundShare. 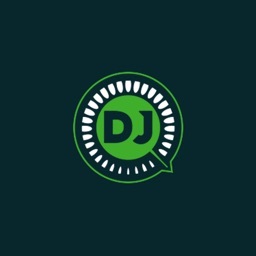 All your recommended mixes (Favorite Mix, Chill Mix, New Music Mix), Daily Playlists, Daily Albums, Spotlight Playlists, New Releases and more. 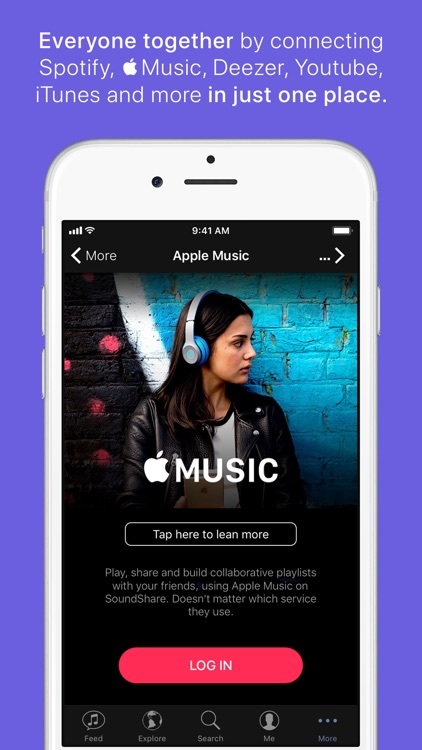 - All social features (like, send songs to your friends, share, collaborative playlists and more) are a available to all Apple Music users. - Access and play every song on Apple Music. 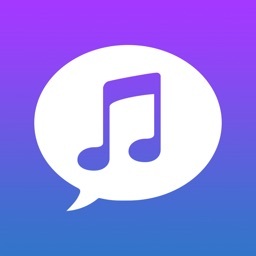 - Add any song to your Apple Music playlists. - Save any song to your Apple Music library. - Create new playlists inside SoundShare and collaborate with your friends, doesn't matter if they are on other music services. - All social features (like, send songs to your friends, share, collaborative playlists and more) are a available to all Spotify users. - Access and play every song on Spotify. 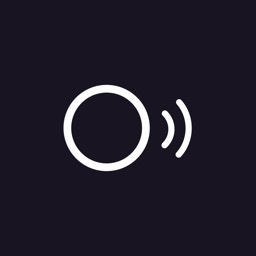 - Manage your Spotify playlists from inside SoundShare. - See all featured playlists and categories from Spotify. - All new discover tab that shows Genres & Moods, Featured and Top Charts playlists from Spotify. - Access Discover Weekly playlist. - Start a radio from any song, artist and album. - All social features (send songs to your friends, mention, share, collaborative playlists and more) are a available to all Deezer users. - Access and play every song on Deezer. - See all your Deezer playlists.